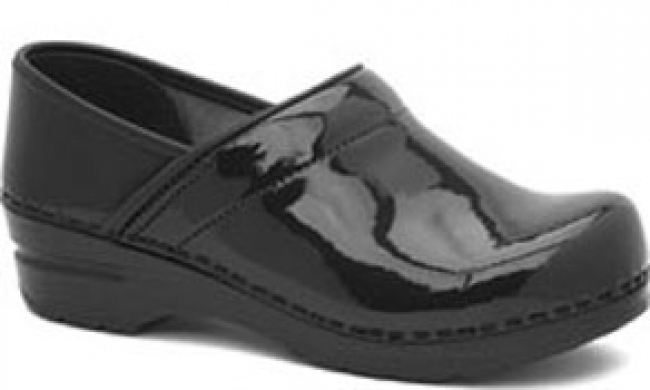 The Dansko Professional clog in the black patent leather is the most fashionable and dressy finish we offer the professional clogs in. The patent leather with a high gloss finish from the polycoat is very shiny and durable. Add the comfort and support that follows the natural contours of your feet that Dansko Professional clogs are known for and you have your favorite pair of clogs for where ever life takes you. Professional Clog Collection carry the seal of Acceptance from the American Podiatric Medical Association.